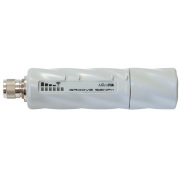 MikroTik provides hardware and software for Internet connectivity in most of the countries around the world. Cisco enables people to make powerful connections whether in business, education, philanthropy, or creativity. Mahasen Al-Khair is a Cisco Advanced Reseller. We have implemented Cisco Solutions at various sites using diversified Cisco products like the entry level to higher end Routers, Fast Ethernet & Gigabit Switches, PIX/ASA Firewalls, IP Telephony, etc. Tenda adopts Broadcom chip which is similar as Apple devices to bring terrific performance to all Tenda products. Tenda Based in Shenzhen, China, Tenda has expanded its business into the World market. Tenda established more than 10 branches and 50 offices in China. Since 2007, Tenda has started launching its global branding strategy. Through worldwide distribution channels, Tenda distributes products to more than 100 countries around the world. Up to the third quarter of 2014,total sales amount of Tenda is over 500 million. At the same time, Tenda has a customer service team of up to more than 160 employees to solve problems for distributors and end customers in the world. IP-COM has consistently insisted on sci-tech innovation which mainly specializes in network technology research & development. IP-COM is dedicated in the research and application of commercial network communication equipment with product lines of commercial access point, Gateway, Switch and so on. We prvide fast, safe and easy-maintenance netowrk solution and equipment to world SME in industries of government, enterprise, hospitality, shopping mall, education and healthcare. Mahasen Al-Khair is a Specialist Partner & Reseller for the entire range of Hewlett Packard products that include Servers like the ML Series, DL Series and BL Series; Desktops like the DX, DC series; Notebooks & Workstations. We are also the HP Preferred Partner for Imaging and Printing Group to sell & service complete range of HP Printers. As resellers of HP, Mahasenk Al-Khair provides the whole range of HP/COMPAQ Desktop and Notebook computer systems for small/medium or large organizations. Moxa Technologies are designers and manufacturers of industrial communication products. Mahasen Al-Khair is exclusive agent for Moxa’s range of products / solutions in the Middle East and North Africa. 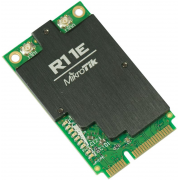 With 17 years of experience in the development and production of high quality products, Moxa is now well known for its Industrial Networking Devices and appliances. Westermo design and manufacture robust data communication devices for harsh environments. Mahasen Al-Khair and Westermo supply products that provide the communication infrastructure, derived from proven commercial technology, for control and monitoring systems that are used in mission critical solutions where commercial grade products are not sufficiently resilient. GigiLink provides end to end range of structured cabling solutions for enterprises. Mahasen Al-Khair is committed to persistently meeting the evolving Digital Information needs of today and tomorrow. Headquartered in Mumbai, its basket of offerings includes the “DIGILINK” brand of structured cabling solutions, as well as its indigenously designed and developed VoIP and suite of Layer 3 products to suit the unique characteristics of the various markets. Clipsal is world famous as Australia’s number one brand of electrical accessories. A market leader in electrical accessories, data communications, industrial and home automation markets, the Clipsal name continues to grow from strength to strength. D-Link is a global leader in the design, manufacture and marketing of advanced networking, broadband, digital, voice and data communications solutions. Mahasen Al-Khair provides End-to-End Solutions on D-Link products such as networking, broadband, wireless, data/voice communications and converged digital connectivity solutions for the business and digital home customer. Proxim Wireless Corporation (OTC Markets: PRXM) provides Wi-Fi, Point-to-Point and Point-to-Multipoint 4G wireless network technologies for wireless internet, video surveillance and backhaul applications. Proxim Wireless Corporation is a leading provider of end-to-end broadband wireless systems that deliver the quadruple play of data, voice, video and mobility to all organizations today. It is 100 percent focused on wireless technology, and provides a complete portfolio of WLAN, Wi-Fi mesh, WiMAX (point-to-multipoint), and point-to-point technologies. LigoWave is a manufacturer and developer of high performance, versatile wireless solutions for Wireless Internet Service Providers and Telecoms across the globe. LigoWave products are developed with the carrier-grade customer in mind. By utilizing cutting edge hardware platforms as well as robust software technology to handle the security and management needs of todayâ€™s growing wireless infrastructure.